The STURDI Concrete Parasol Base is available in 3 different weights and is made from compound concrete. The base has a rubber surround and can be easily moved by rolling it. Why buy The Sturdi Concrete Parasol Base? This fantastic Sturdi 3m Hardwood Frame Garden Parasol benefits from the performance of a classically designed parasol with the stunning appeal of the Indonesian Hardwood Frame and ribs. Relax in the shade on hot summer days with the addition of this stylish garden parasol. 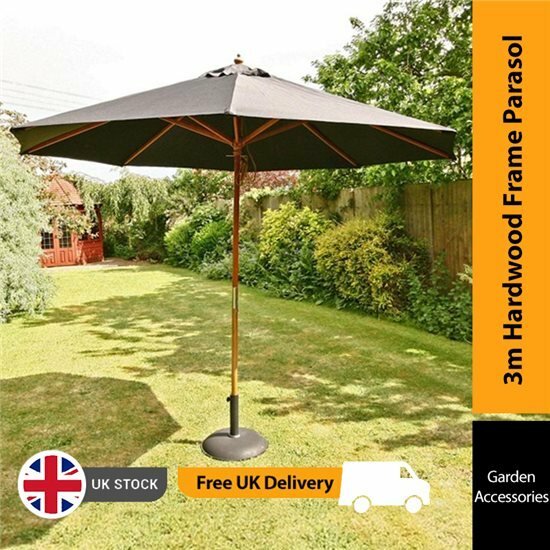 With its effortless crank functionality, the waterproof 3m Hardwood Parasol is the perfect accompaniment to any garden party. 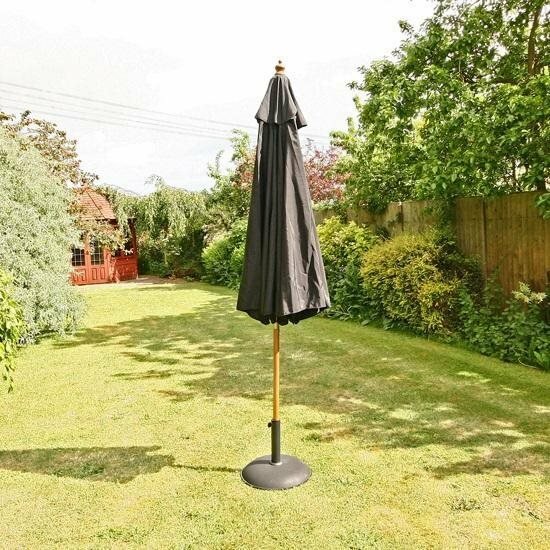 Why buy the Sturdi 3m Hardwood Frame Garden Parasol - Black? Operation of the parasol is effortless thanks to the brass single pulley system which allows you to easily open or close the parasol. The strong ribbed frame is then held in place using a pin, it couldn’t be simpler! Offering a touch of class, this parasol is supplied with decorative finials that can be unscrewed allowing for the cover to be machine washed. The Sturdi 3m parasol is constructed using a premium Indonesian hardwood pole with metal fixings which ensure maximum stability and durability. The oversized connector also ensures that the parasol remains secure when in use. 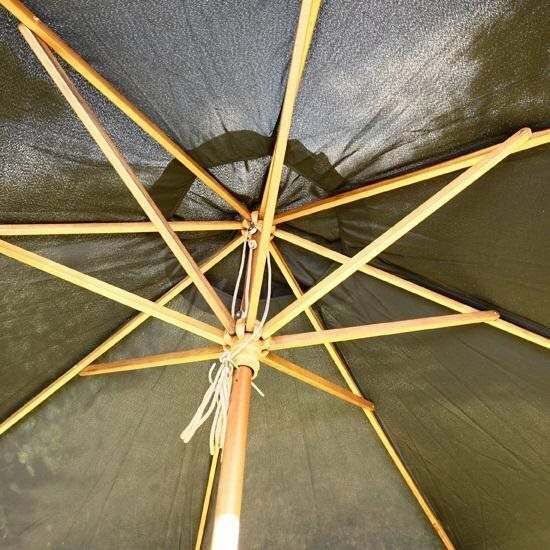 A great feature of this parasol is the decorative resin top and ventilation flaps. These extra features make the parasol stand out from the crow and the canopy is manufactured using high quality 180 gram polyester material. 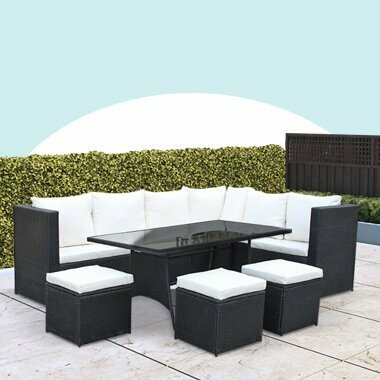 The taupe finish looks elegant in any garden and provides your outdoor dining area with style and practicality.